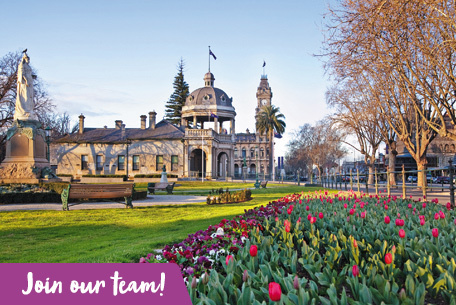 We are seeking a Development Contributions Coordinator to work in one of Victoria’s fastest growing municipalities and address the diverse challenges and opportunities presented from the City’s urban growth. This newly created fixed term opportunity exists for an energetic innovative and experienced development contributions officer to develop a development contributions framework for the City and implement systems for the collection, tracking, use and monitoring of development contributions. Collaborating with key authorities and key departments across the City, you will lead a working group and establish clear roles and responsibilities in relation to development contributions. Reporting directly to the Manager Planning this stimulating role provides the opportunity to draw on your extensive experience to investigate develop and implement an all encompassing system for the City and assist in shaping long term financial and capital works programs. To be successful in this role you will have experience in planning and development, an excellent know knowledge of the Planning and Environment Act 1987 and the Subdivision Act 1988 as well as the Victorian Planning Provisions. You will have excellent communication and interpersonal skills and the ability to prepare and present high quality reports. Applications addressing the key selection criteria must be received by close of business Monday September 17, 2018. If you require any further information regarding this position, please contact Ross Douglas, Manager Statutory Planning on (03) 5434 6350.